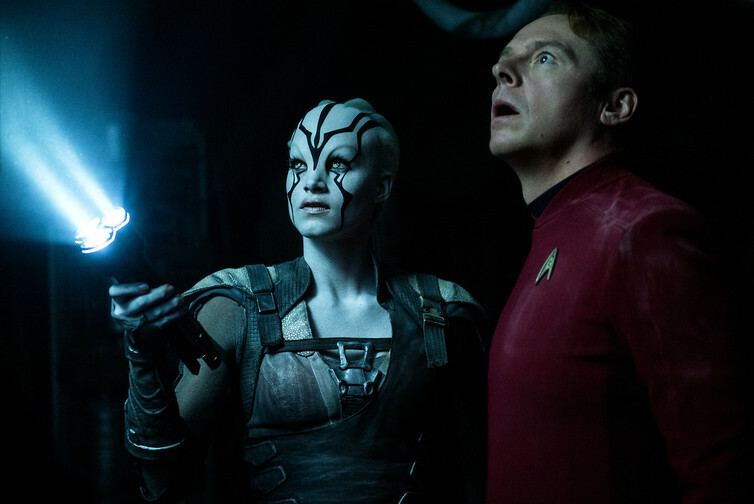 Star Trek Beyond may not have received a stellar critical response, but it can be said that it – and the franchise’s two previous films – handle the philosophy of time travel much better than many other works of science fiction. This is mainly because the rebooted Star Trek series is not set in the same universe as the original series, but in a parallel universe that shares a similar history – up to a point. 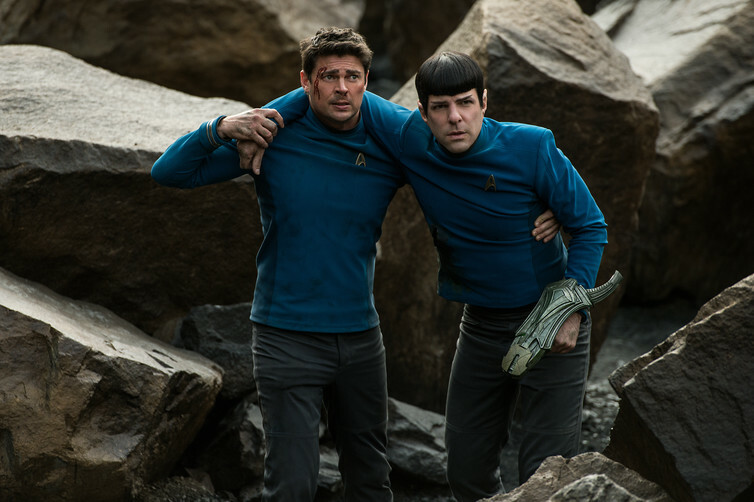 In the first film of the rebooted series, Star Trek (2009), a number of characters from the original Star Trek universe – Spock, along with a Romulan bad guy Nero and his henchmen – fall into a black hole in the year 2387. The Romulans emerge in the parallel universe in the year 2233, and Spock 25 years later. The Romulans’ presence in the parallel universe is felt almost immediately: they destroy the Federation starship USS Kelvin, killing Kirk’s father in the process. As Spock observes: “Nero’s very presence has altered the flow of history … creating an entirely new chain of incidents.” The parallel universe and the original universe diverge in significant ways from that point onwards. In the parallel universe the fatherless Kirk grows up bitter and directionless, Kirk and Spock meet the Spock from the original universe, and the planet Vulcan is destroyed: all events that did not occur in the universe of the original series. Star Trek Beyond may not have received a stellar critical response, but it can be said that it – and the franchise’s two previous films – handle the philosophy of time travel much better than many other works of science fiction. This is mainly because the rebooted Star Trek series is not set in the same universe as the original series, but in a parallel universe that shares a similar history – up to a point. In the first film of the rebooted series, Star Trek (2009), a number of characters from the original Star Trek universe – Spock, along with a Romulan bad guy Nero and his henchmen – fall into a black hole in the year 2387. The Romulans emerge in the parallel universe in the year 2233, and Spock 25 years later. The Romulans’ presence in the parallel universe is felt almost immediately: they destroy the Federation starship USS Kelvin, killing Kirk’s father in the process. As Spock observes: “Nero’s very presence has altered the flow of history … creating an entirely new chain of incidents.” The parallel universe and the original universe diverge in significant ways from that point onwards. In the parallel universe the fatherless Kirk grows up bitter and directionless, Kirk and Spock meet the Spock from the original universe, and the planet Vulcan is destroyed: all events that did not occur in the universe of the original series. The divergences between the two universes are explored further in the second film of the rebooted series, Star Trek Into Darkness (2013). Here, the crew of the Enterprise go up against the genetically-engineered villain Khan, as had the original crew in Star Trek II: The Wrath of Khan (1982). But how this plays out is different in virtually every aspect, as is the way that the two crews find to defeat him. The way time travel was used to reboot the Star Trek series is, then, quite sophisticated. This is markedly different from many other time travel movies, which typically involve a single timeline along which characters travel back and change the past. This is the model used in the Terminator films, and even in one of earlier Star Trek films, Star Trek IV: The Voyage Home (1986), in which the original crew of the Enterprise travels back in time to the 20th century to pick up two whales needed to resolve a crisis occurring in their own time. The problem with this model of time travel is that it leads to logical absurdity. This is traditionally shown through the grandfather paradox, which goes like this: suppose you travelled back in time and killed your biological grandfather before he met your grandmother. Then you would never have been conceived, so you would not have existed to travel back in time in the first place. There are obvious contradictions in this scenario (you both existed and didn’t exist, the time travel both took place and didn’t), which tells us that it is impossible. But a paradox doesn’t only arise when time travellers are intent on killing their grandparents, but when they seek to change the past in any way. Suppose that someone today goes back in time in order to change the past in a relatively modest way, for example by carving her name in a tree at midday on January 1 1900. Logic indicates that she cannot succeed, because if she did it would be both true that her name was carved in the tree at midday on January 1 in 1900 and false that her name was carved on the tree at midday on January 1 1900. The contradiction means that it cannot happen. It is often thought that the grandfather paradox shows that time travel is impossible, but in fact it shows the impossibility of changing the past, which is not the same thing. The paradox does not rule out time travel as such, only the possibility of time travellers changing the past. In a single timeline, there is no way to change the past, even if time travel is possible. And if there are multiple timelines, played out in parallel universes, there is still no way to change the past of any of them, even if time travel is possible. Of course, the idea that there are parallel universes is common in works of science fiction. But it is also taken seriously by many contemporary scientists and philosophers. According to some theories, parallel universes are entirely separate from each other and cannot interact, while other theories hold that parallel universes do interact, making it possible that one day we might be able to test for them. Some physicists even suggest that it might be possible to travel to a parallel universe. And if there are parallel universes, and it is possible to travel from a particular date in one to a different date in another, then it is possible for travellers to change the events of the timeline they are visiting from what they otherwise would have been. Here, the past is not being changed, only the future. The writers behind the rebooted Star Trek franchise understood this well – and as a result have deftly handled the tricky matter of time travel without falling into the paradoxes that plague some other works of science fiction.